Jeffrey Mayes all about me! While I'm not old, I am one of 'those people' that is into genealogy. In the past genealogy has been the thing of old people and considered nerdy, but in the past five years, genealogy has come cool and moved into the mainstream thanks to TV shows like Who Do You Think You Are? While I have have been doing genealogy for about 20 years, I have not put my genealogy findings on-line. Although I do a fair amount of Irish research (online and on-site in Ireland), so I have provided some tips that I think are very helpful. Tracing ancestors as far back as possible has brought to many people great satisfaction and pleasure. Even documenting one's family thoroughly for but a few generations can prove just as exciting and fulfilling as a more sketchy documentation across two or three centuries. What I enjoy the challenge of finding all the living distance cousins and sharing what I have learned. Adding in their part of the tree and seeing the excitement of them learning about their history. I'm originally from Allentown Pennsylvania, but left the area in October of 1987 when my parents and I moved to Massachusetts. I became interested in genealogy close to 20 years ago when a 2nd cousin of my mom contacted her (my mom) as part of her research. 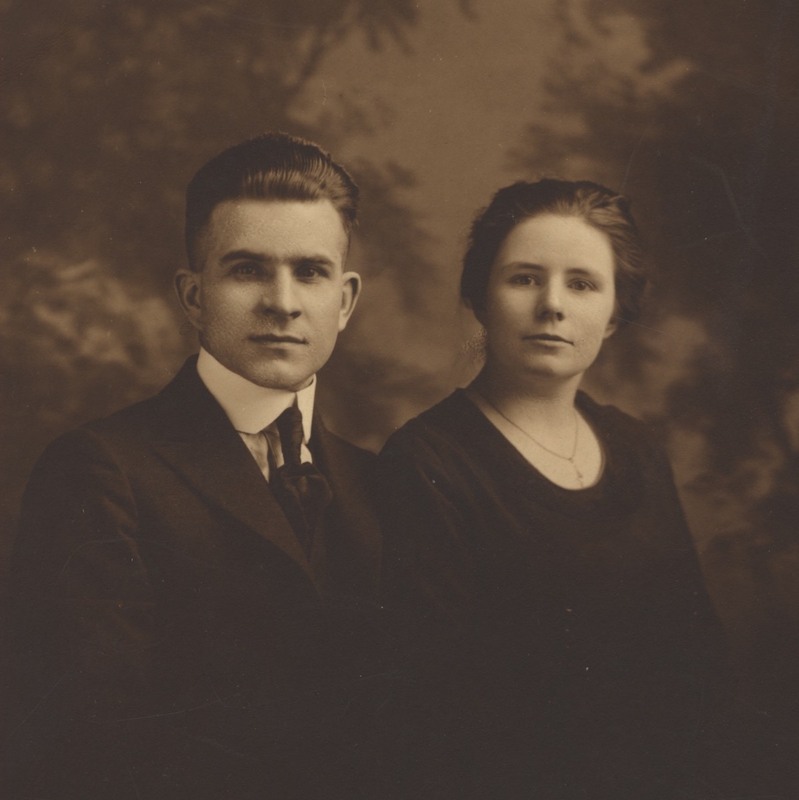 I started my 'research' with my great grandparents, Lewis F. Jarrett and Esther Sholder. While Lewis passed away before I was born, I remember Esther very well from when I was a child as she passed away when I was twelve years old when she passed away. I started with what I knew, working my way through his descendants and worked a lot with my grandparents. Lewis was born just outside of Williamsport, Pennsylvania in 1892 (my grandfather was born in Williamsport as well). At an early age he became a car mechanic in the early 1900s. He eventually moved to Albany, New York, in the mid 1920s and opened his own car dealership. Having grown up in the auto industry, my grandfather Lewis F. Jarrett Jr. and his younger brother, Donald, decided to open a car dealership themselves. Not wanting to compete against their father, they chose Allentown as a good of place as any to do so. 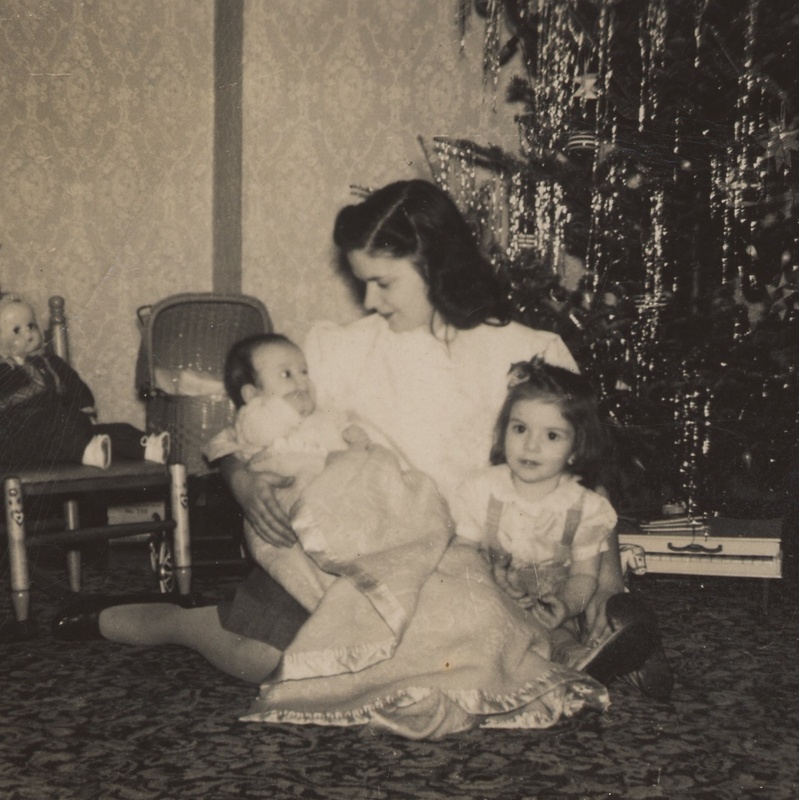 Skipping ahead… my parents moved back to Pennsylvania and bought a house in Macungie, PA a suburb of Allentown. The house is about five miles from the house I grew up in and about six miles from my grandparents house. In November of 2010 my mom passed away at home in Macungie. With grandparents gone and now my mom, the genealogy bug kicked into high gear. I all of a sudden felt this pressure to document as much a possible as quickly as possible. With that I made a tree on Ancestry.com. About two weeks after doing so, I received an email from Paul Metzger. Paul was also researching the Jarrett's and saw my data. In looking at each other's pedigree we figured out that we are 7th cousins. Paul was also the register for the Pennsylvania chapter of the Sons of the American Revolution and is very knowledgeable. He pointed me to Dorothy Elsie Worman’s genealogical monograph on the Gilbert-Knappenberger-Jarrett & Allied Families (published in 1990). From Worman’s book I discovered my ancestors came from Macungie, just five miles from were I grew up and my parents house sits on land that my 7th Great Grandfather, John Jarrett, was deeded by the William Penn family in 1735. In about 1810 Daniel Jarrett, a grandson of John (and my 5x great grandfather) left the Macungie area and settled in Williamsport, which brings me back to the beginning of my research. Isaac Jarrett, my 6th Great Grandfather, the 5th child of thirteen is born to John Jarrett. Daniel, son of Isaac and my 5th Great Grandfather is born in Macungie. For generations, the Jarrett's settle all over the White Deer Valley of Union and Lycoming County. My Great Grandfather, Lewis Jarrett is born in Berwick, Columbia County, but by 1910 he is Old Lycoming Township, working as a farm hand for Henry Sholder, where he meets Henry's daughter, and his future wife, Esther. Lewis F Jarrett and Esther "Essie" Clara Jarrett (Sholder). Taken about 1917/18. 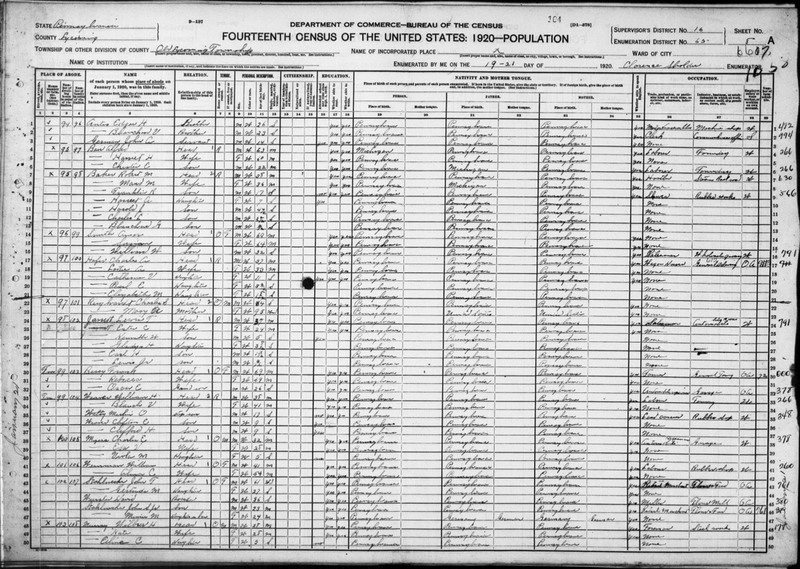 Lewis and Esther, along with their children Ken, Earl, Gladys Lewis Jr. (my grandfather) move from Williamsport Pennsylvania to Albany New York. My grandparents Lewis Jarrett Jr. and Kathleen Lauterborn along with my granduncle Donald and his wife move from Albany New York to Allentown Pennsylvania. I was born in Allentown and raised about four miles from John Jarrett's original land deeds. While doing genealogy research I learn of the connection to John Jarrett, close to 17 years after I started my research and 276 years after he was deeded the land by Penn.